Katherine and Thomas should be enemies. He is an English knight with a pirate background, and she is English by birth, but lives in Ireland. 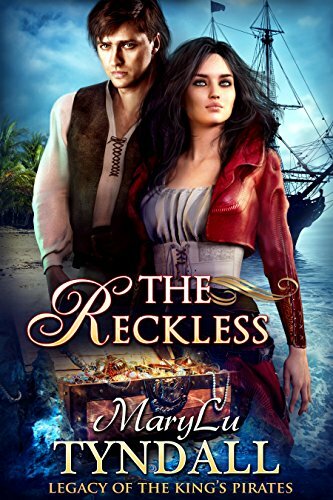 When Thomas kidnaps her because he is sent to aid the English cause as a pirate and is trying to satisfy his responsibility to his queen, he doesn’t expect there to be sparks between them. Still, they each have the goal of freedom for Ireland, and amid all of the excitement – both good and bad – surrounding them, they are determined to find one another. 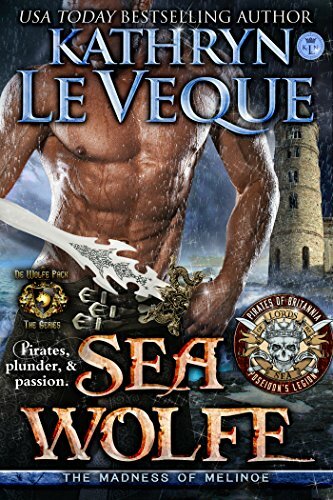 Valoree spent time disguised as a pirate to regain her dead brother’s birthright. Now that it’s over, she returns to Ainsley Castle as the rightful heir. There’s only one problem – to inherit what is hers, she has to be married to a nobleman and pregnant. 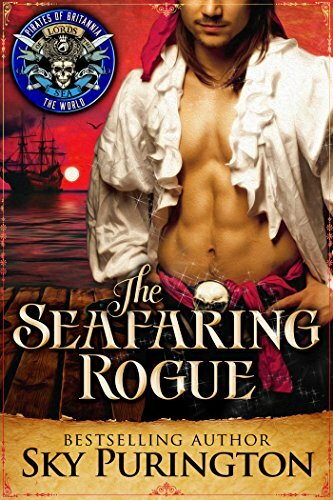 So, she does what she does best – she returns to the high seas in search of a husband. 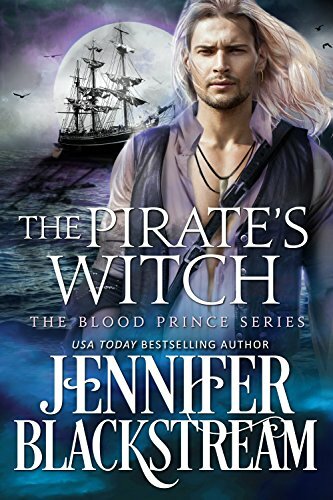 She only has one goal in mind when she sets out, and that is a man who sets her on fire, and one who can handle a lady pirate. Cassandra has powers that could’ve caused her death after birth, but because her father was on the Council, her life was spared. 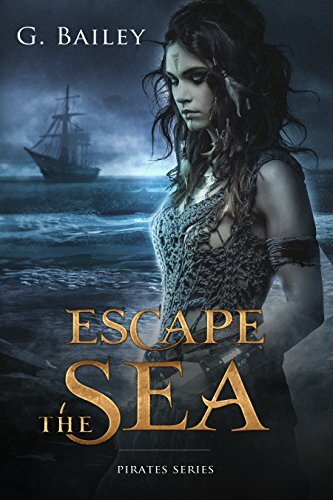 Now, her father is intent on keeping her hidden as long as possible, but when a mistake is made and she is seen by people who weren’t supposed to know she exists, she escapes to the only place possible – the sea. More specifically, to a pirate ship with six handsome pirates who she was expecting to kill her. Instead, they all want her heart. In the 1400s, Constantine is properly educated and is known as the pirate named the Leader of Titans. He also loves women, and lots of them. Lady Gregg is a widow whose late husband gave her a sacred object that all nations seem to want. 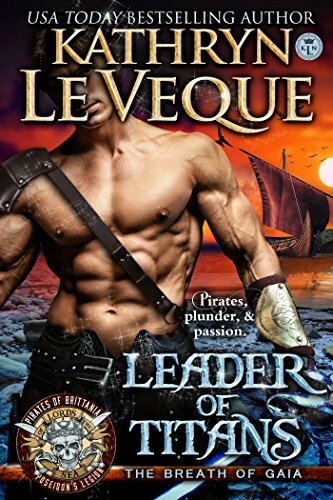 She comes to Constantine because he is the only pirate she knows who can fight off the French, who are getting dangerously close to getting this object. Constantine then has two goals – to save Lady Gregg from doom, and to figure out if getting the sacred object himself is possible. 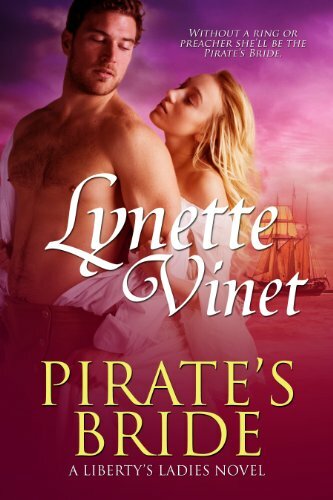 When a pirate prince named Savage and the widowed Lady Jane meet, sparks fly instantly. Lady Jane has a dangerous secret and when her safety is compromised, she seeks Savage’s help because he has protected her in the past. But, Savage isn’t sure about helping her, because he has a reputation of being a lady’s man that he doesn’t want to damage. Still, there’s something about this woman that intrigues him, and amongst the battles going on around them, who will end up saving them from each other? Sam, AKA Cale, is a well-known pirate living the pirate’s life, but dreaming of having things he knows he’ll likely never get. When he saves the life of a woman named Grace, she starts to have doubts about her man-hating ways. The more they spend time together, the more they are attracted to one another, but when people who are out for revenge start to get closer to Cale, things get dangerous for both of them. Will Cale ever realize that the woman in front of him is all he really needs? Fraser is left for dead, but saved by a healer named Elspeth, who has dark secrets regarding a deep seated family feud. 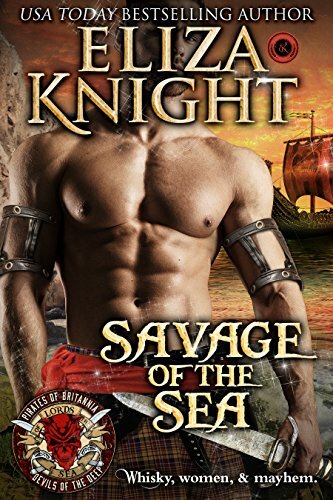 Soon, her enemies kidnap her in a late night pirate attack and Fraser is out for revenge. Determined to save her, regardless of the cost, Fraser goes after her and in return, she shows that even the most hardened heart can be eased with the right person. A suspenseful, intriguing tale that is ripe with excitement and of course, passion. Jean-Luc is a New Orleans attorney who hasn’t seen Maribel, the daughter of a Spanish nobleman, since she was only 11 years old. Since then, he has tried to hide from the world because a trip on his privateering vessel costs the lives of many people. Now Maribel is back, all grown up and looking better than he ever imagined. But, her return could mean Jean-Luc may lose everything important in his life, so will he consider being with her worth the risk? 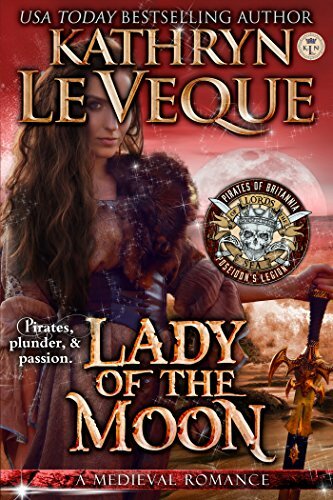 Evelyn is kidnapped for ransom by a pirate who then carries her aboard his ship with certain plans in mind. Although he has no intention of harming her, she doesn’t know this, and when he spanks her in front of his crew for an act of disobedience, she is at first infuriated. However, she eventually learns that he is not out to hurt her, and she starts looking forward to the next time they touch. 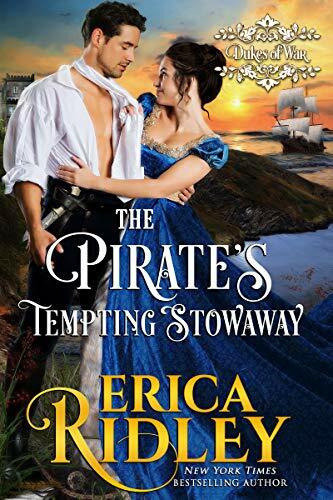 He is supposed to deliver her to a man in Boston, but she is intent on making it known that it is the pirate who she truly wants. Maddy once had a wealthy and successful family, until they were framed and now have nothing. 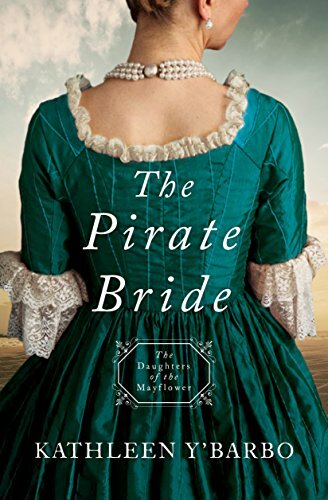 When Maddy finds out who did the framing – a notorious pirate and his family – she disguises herself as a servant in his home to see if she can take them down. 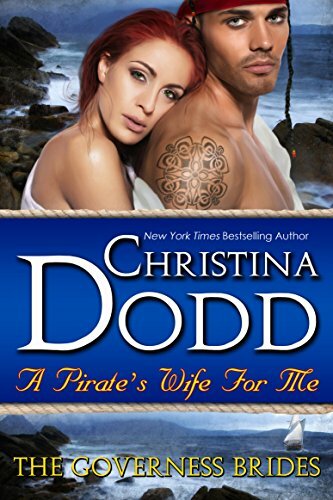 The pirate, a captain named Thomas, is all set to marry his fiancée, until he takes a look at Maddy. Suddenly, he isn’t so sure what he wants, and if Maddy’s true identity is revealed, it could wreak havoc on both of their lives. Bethlyn is the daughter of an earl who was forced to marry a man who then dumped her after the ceremony. Years later, she sets out to find him so they can have their marriage annulled or become true man and wife. When the ship she’s on is captured by Captain Hawk, she finds herself oddly attracted to him. He also thinks she is a prostitute, and by the time she arrives at her destination, she finds it difficult to look for her husband when she’s already known a passion beyond her belief. Caitlin has just graduated from a school for governesses, where she learned to pick locks and overthrow dictators. 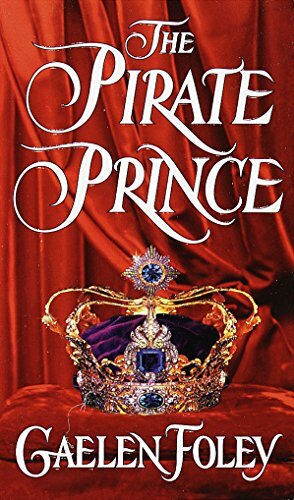 When a ship’s captain and disguised prince needs her services so that he can change his ways and win back his island kingdom, she agrees to help him without knowing who he is. In fact, Taran even promises her he will keep their relationship proper during the ordeal, except that the task ends up being much more difficult than either of them expects it to be. Cassandra is a marked woman and, therefore, her life has never been simple, but she’s always had her pirates. When she is kidnapped and taken to the king, secrets come out that she’s never expected. But, the king is not impressed with her pleading and sends her to the dungeons, where she is surrounded by nothing but evil. The Sea God offers her a plan she doesn’t like, but which promises to save her, but at what price will her happiness come at? And where are the pirates who are supposed to be helping her? Lisa is trying to find her twin brother and is wanted by many organizations because of the biotechnology found in her head. She is a human, and Qaiyaan is an alien pirate whose race just might be saved by what Lisa knows. 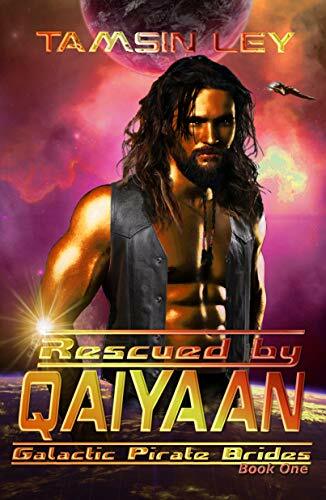 On a derelict passenger ship together, Lisa and Qaiyaan work together to thwart the plans of some bad guy bounty hunters and keep their ship from falling apart. The biotechnology is what brought them together, but it also might be what tears them apart in the end. Lady Summer participated in smuggling to save her family’s estate, but she now believes marriage to a wealthy man might work better. When she meets Lord Ruark, she thinks he might be the one, but as they become closer in each other’s arms, something happens that causes her to hesitate. Lord Ruark is handsome, but also very arrogant, and Lady Summer is convinced that he is either going to bring her the ultimate happiness or cause her demise. 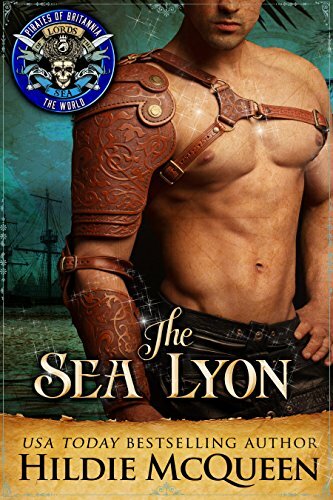 When Honoria grants a wish to a pirate named Christopher, he is then brought out and hanged, but years later Honoria thinks she sees him again. She has moved on with her life and is even engaged to an English gentleman, but Christopher has spent the past four years trying to get back home so he can see Honoria again, who happens to be his wife. When they finally do meet, will there be sparks and feelings of love, or are both of them ready to move onto something else? Genevieve is on a ship headed to England to a man she doesn’t want to marry. Lucifer is the head pirate on a ship that she finds herself on after being captured, and even though the couple have practically nothing in common, they find an immediate attraction to one another. 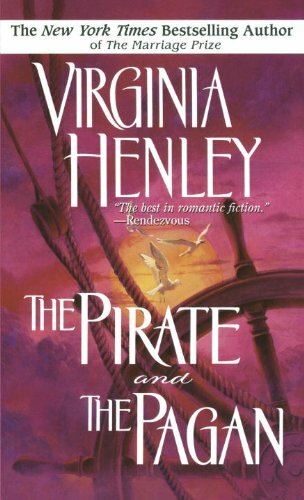 After all, Genevieve considers being captured by pirates preferable to marrying a man she doesn’t love, but will the story of a beautiful lady and a fallen angel have a happy ending? 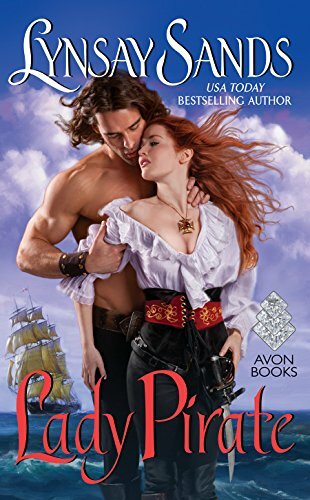 Reena is a pirate captain who is used to getting what she wants, and right now all she wants is a man named Frederick. But, Frederick has decided to become a preacher, and even though his heart still belongs to Reena, he is determined to keep that secret from her so he can fulfill his goals. With deserted islands, traitors, villains, and mutinies a large part of the story, they both have some important decisions to make if they are going to be together in the end. 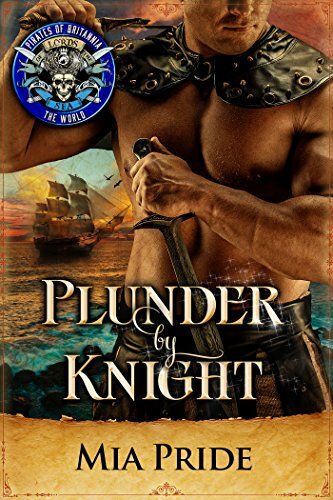 Blackheart is a pirate captain who loves being on the sea and has no time for romance, but when Clara becomes his latest charge he starts to feel things he thought were off limits to him. Clara is vivacious and spunky, unlike any woman Blackheart has ever met. When he delivers her to where she needs to go, he thinks his task is over, but Clara feels that hers is just beginning. She is determined to get him back, even if she has to turn the tables and storm his ship to do so. Samarra is a lady warrior tasked with bringing Sir Rhodes to his intended bride, but the bride is not someone that Sir Rhodes wants to marry. He tries to escape, but instead he ends up face to face with Samarra and her assignment of bringing him and his intended together. He then becomes attracted to Samarra, but will her commitment to the assignment make her bring him to his intended anyway, or will these two find a way to be together? 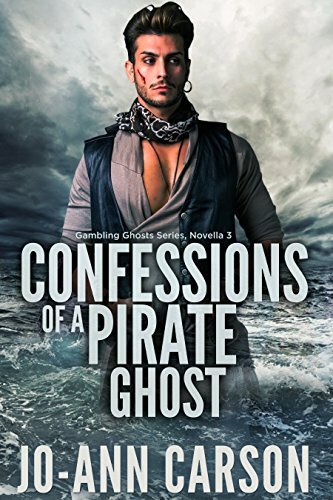 When a pirate captain named Dorian sneaks away for a bit to see his dying mother, he runs into the one woman he despises more than anything else. Ileana and her baby son are running for their lives, and they are forced to depend on pirates to stay alive. The only problem is, Dorian is actually more dangerous than what she is running from, because he holds the best motive for her demise – revenge. Tyr needs to find a firebird so he can deliver it to an ogre king, unless he is prepared to die. This is what happens when you cross ogres, even if you are a one-armed pirate who is experienced at his job. Ingrid is an earth witch who doesn’t want to remain on the earth, and Tyr ends up kidnapping her to find the elusive firebird. A romantic, intriguing, and often funny romantic tale, its happily ever after ending and exciting twists and turns will have you looking forward to turning the next page. Harley is an art forger who dives off of a yacht and swims to shore, but the only light she sees comes from the inside of a haunted teahouse. The house scares her, but she is alone and afraid, and she needs a place to hide. A pirate ghost named Three-Sheets is inside the house, and he immediately begins to attract her attention. Suddenly, her former boss puts a price on her head, which lends to the mystery, adventure, and fun of a story you will not likely forget anytime soon. Nicholas was robbed of his rightful title and handed over to pirates, and he rides the sea continuously doing good deeds for others. But, when he decides to take revenge on the uncle that caused him to flee so that he can take back what is his, he ends up in a town where he becomes the new vicar. In this role, he runs into Grace, a maimed woman and gentle soul who ministers to the townspeople. 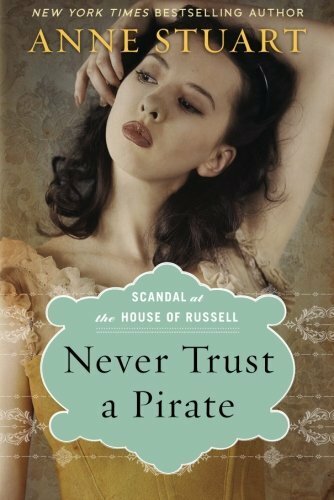 Grace isn’t aware the he is a pirate, and their love is growing with each passing day, but what will happen when she finds out the truth? Lazar is a pirate prince who is out for revenge and is intent on getting back his birthright and his kingdom. Allegra is the daughter of his number-one enemy, and when she throws herself on his mercy to save her family, her beauty and courage make him agree to the arrangement. 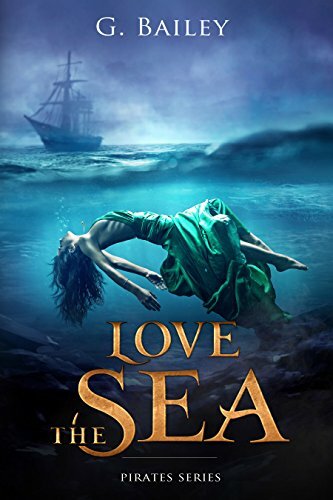 The only catch is that she has to travel with him on the open sea, but when she suddenly realizes that Lazar is the man who she saw in her dreams when she was younger, she becomes determined to be with him.